However, floods are not always caused by heavy rainfall. They can result from other disasters, especially in coastal areas where overflowing in river can be caused by a storm increase associated with an environment where a tsunami or the period where the river rises to its highest level. In the case of Port Harcourt, the flood which unexpectedly hit the state, resulting in lose of property. Here are reasons why the people of Port Harcourt should expect more flood in the nearest future. 1. Blocked Drainage - Throughout the raining season, drains tends to experience floods of water as a result of heavy rainfall. Due to the dumping of refuse on local drainage,hereby resulting in blockage. Rivers State drains aren’t really designed to take the full impact of heavy rainfall water. When there is an overflow of rain water in gutters and drains due to blockage, there is a chance it will result to flooding. 2. Heavy Rainfall - In Port Harcourt heavy rainfall occurs between the months of March and October through November. The raining season is at its highest point in July, lasting more than 290 days hereby leading to flood. The only dry months are January and February having little to no effect of rain. 3. River Overflow - Rainfall over an extended period of time cause major rivers to overflow. Rain water flows to small rivers that flow to larger rivers and these rivers flow into even larger rivers. In this way, heavy rainfall that fell in a large area comes together in this one very large river. When there is a lot of rain over a long period time in the case of Port Harcourt, you see the river rise gradually hereby leading to flood. 4. Lack Of Drainage - Several areas in Port Harcourt Town including D-line, Diobu, Ada-George and the Aba road area experienced a rise in water levels of up to four feet. This is due to lack of proper drainage in those areas which prevents the water levels from receding,hereby resulting in flooding. 5. Bad roads - The effect of bad roads in the Rivers State can not be over emphasized. Due to excessive rainfalls in the state, pot holes tends to hold more water, hereby resulting in flood. 7. 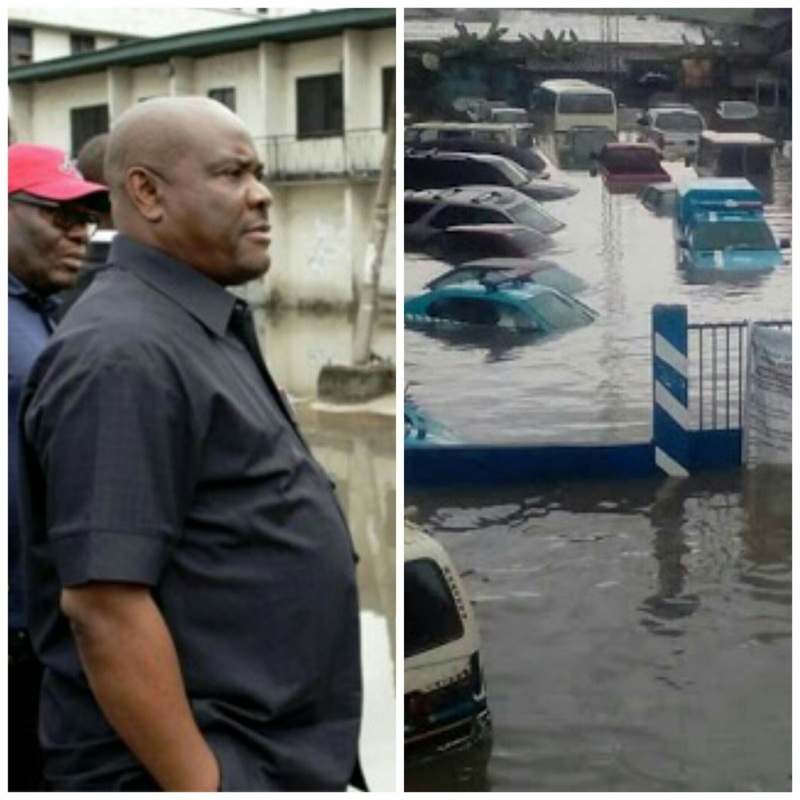 Lack Of Government Infrastructures - Rivers State lack the basic facilities needed for the control of Flood in the state. Watch out for solutions to flooding in Port Harcourt. Brought to you by 818TV.